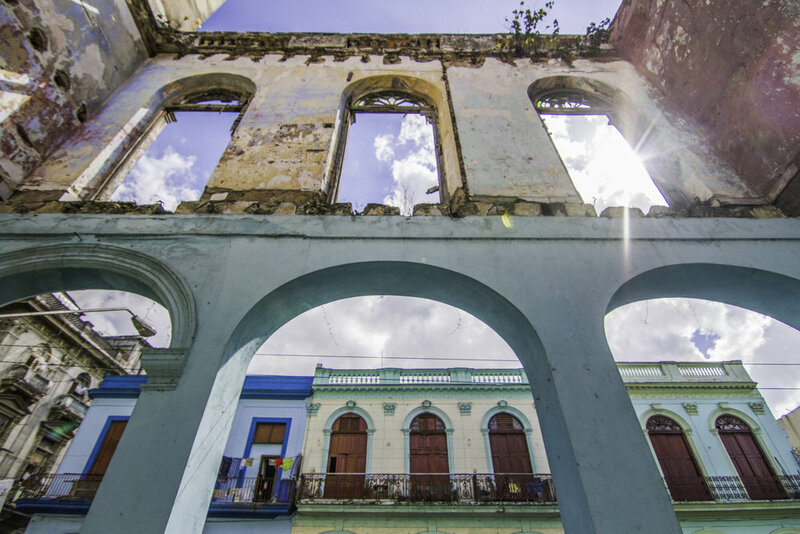 Cuba’s traditional architecture has long been preserved under a condition of respectful neglect. 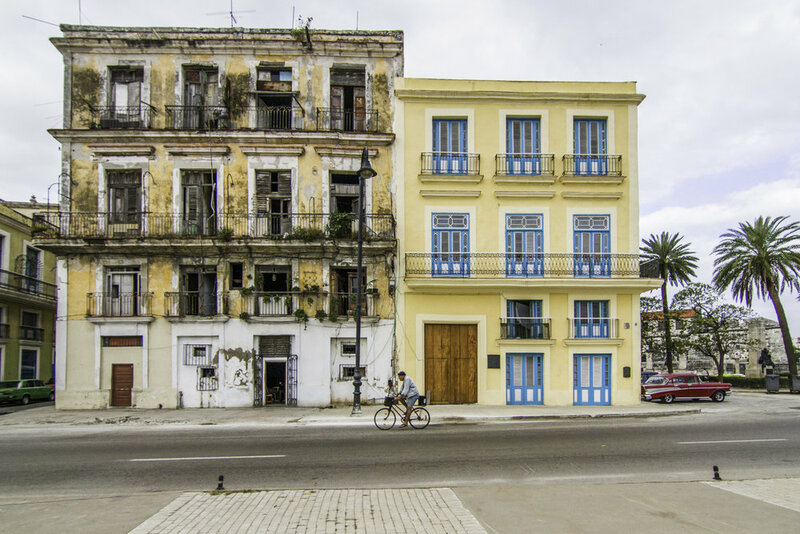 As commercial interests increasingly influence policies of the built environment, this “Modernización de Cuba” focuses on a rich and precious state of decay; a state defined by fragility and visible signs of aging. 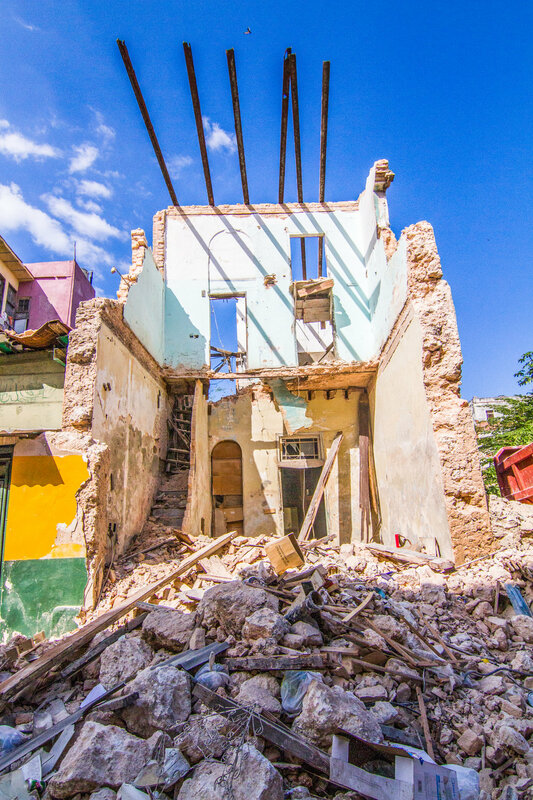 We now observe, helpless, as selective demolition and wholesale destruction of edifices attempts an erasure of time's ravages; replacing rich layers of peeling, crumbling memories with candy-coated, digitally-rendered, "Caribbean" developments.